The Texas Supreme Court won’t re-examine a high-profile case that asked a perplexing question: If industrial wastewater pollutes your groundwater, can you sue for trespassing? The Texas Supreme Court on Friday declined to re-examine a high-profile case that asked a perplexing question: If industrial wastewater pollutes your groundwater, can you sue for trespassing? Energy and water interests have sought clarity on that issue amid a tug-of-war over brackish groundwater aquifers. Petroleum companies see them as underground trash cans for liquid waste, which they dispose of in thousands of active wells across Texas. But others worry that some of the noxious material being pumped underground could taint future drinking water supplies, just as brackish underground water is becoming a more cherished resource. Last February, the high court offered no clarity in its ruling against a southeast Texas rice farm that accused a waste disposal company of trespassing thousands of feet below the surface. On Friday, the justices rejected the farm’s petition to rehear the case. 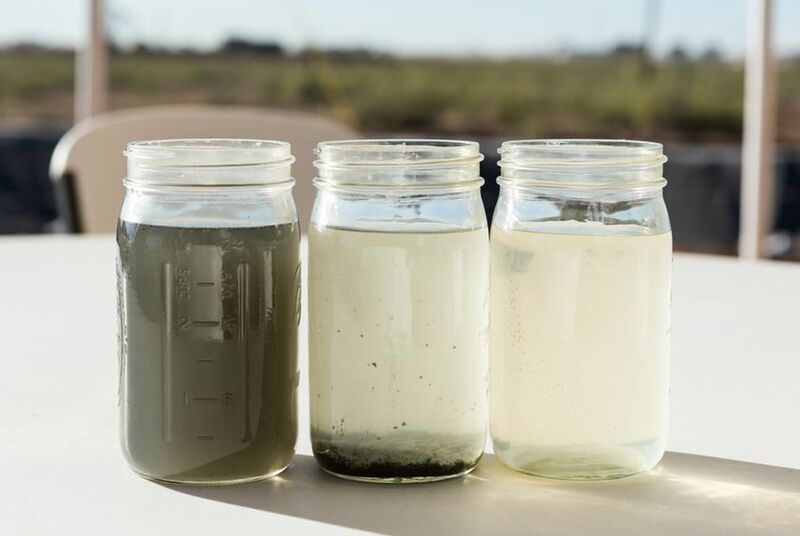 Beginning in 1997, Environmental Processing Systems drilled an injection well near FPL Farming's land in Liberty County, shooting more than 100 million gallons of wastewater 8,000 feet below ground over time. Experts testified that the wastewater, laced with chemicals including the flammable liquid acetone, probably reached a brackish aquifer beneath the neighboring farm's land. Arguing that desalination technology could have made the brackish water drinkable, the farm demanded compensation for trespassing. After a Liberty County jury sided with the well operator, an appellate court in Beaumont reversed that decision, ruling that a well operator could be held liable for trespassing. That conclusion stirred concerns among oil and gas producers who feared the precedent would make it harder to get rid of drilling waste. The justices avoided that debate in February, using narrower grounds to simply uphold the jury's original decision. It largely focused on a separate issue: whether the rice farmers were required to prove at trial that they hadn't consented to the well driller's supposed trespass. They had not proved a lack of consent, the court said. In asking for another hearing, FPL Farming’s attorneys argued that its representatives had “testified unequivocally and without contradiction that FPL Farming never consented” to storage beneath its land. “If such uncontradicted evidence from the landowner is not sufficient to prove lack of consent, it is unclear how a landowner can ever prevail on this issue,” the attorneys wrote. The justices were not swayed. For now, all those who might have been impacted by a stronger ruling on trespassing — which is virtually anyone who has interest in underground water supplies — must wait for another lawsuit to percolate up to the state's high court. Correction: This article originally misidentified Environmental Processing Systems as Environmental Processing Services.